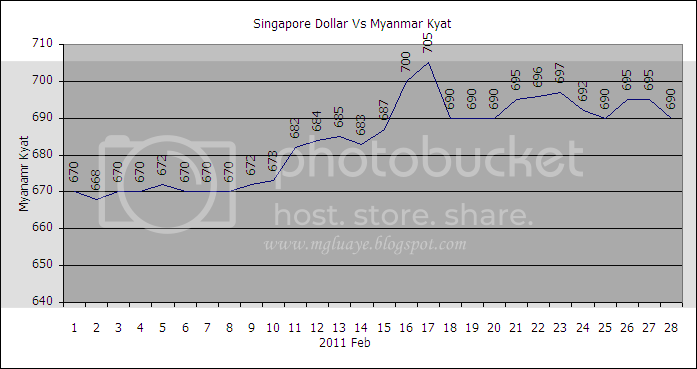 For the month of February 2011, the average exchange rate between SGD and Myanmar Kyat was 683.9643 Ks/SGD (27.7062 up from previous month average rate), highest was 705 Ks/SGD on 17th of February and fell lowest till 668 Ks/ SGD on 2nd of February. 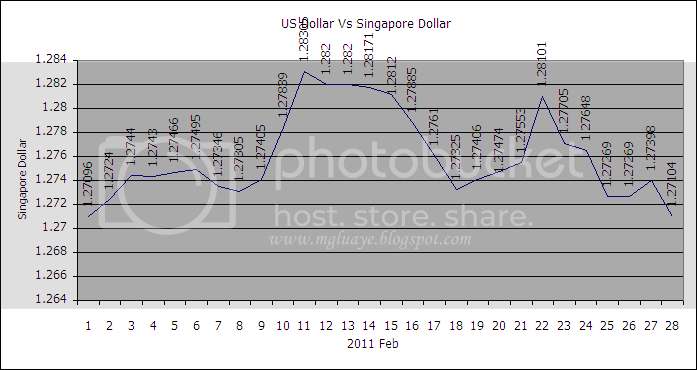 For USD vs SGD, the average rate for the month of February was 1.2760 SGD/USD (0.0104 down from previous month average rate), highest 1.2831 on 11th of February and lowest 1.2710 on 21st of February. initially, did not really sit properly with me after some time.